Memorial Hermann Prevention and Recovery Center, located in the city of Houston, Texas, is a substance abuse treatment center for adults ages 25 and older. The non-profit center has provided comprehensive substance abuse and mental health treatment services for more than three decades and provides individualized, evidence-based treatment to suit the needs of each patient. The treatment staff at the center includes professionals ranging from physicians, therapists, social workers, and counselors to psychiatrists and nurses. The center provides a full continuum of substance abuse and chemical dependency treatment services including a Partial Hospitalization Program (PHP), an inpatient residential treatment program, and an Intensive Outpatient Program (IOP). The center also offers aftercare services for individuals who have completed treatment and are ready to transition back into their communities. Additionally, the center offers a Professionals and Executives program for working professionals such as pilots, nurses, physicians, and executives. This program provides personalized treatment for professionals and offers them various levels of care including medical detoxification services, chemical dependency education, experiential therapy, support groups, and family services. The facility also provides psychiatric counseling as well as specific programming for adolescents. 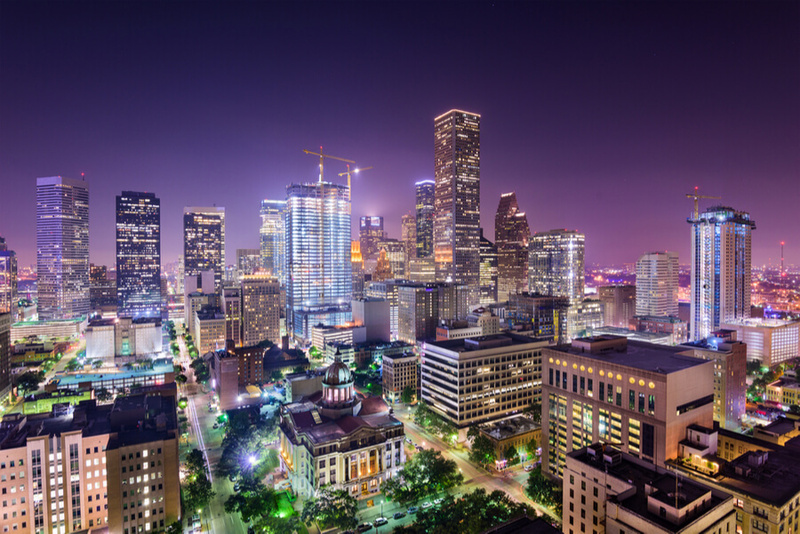 The treatment center is in the vibrant city of Houston, Texas and provides a campus-style environment for its residents. Residents should expect to share bedrooms—which are modestly furnished—with other clients. Clients may also be given access to the on-site fitness rooms with elliptical machines, free weights, and treadmills. The facility also has a basketball court, recreation room, and a computer laboratory. Additionally, the facility houses the residents in separate wings according to their age groups although the rooms share most of the features. The rooms feature a dorm-style setup and are equipped with a private bathroom, twin beds, and a desk. Meals are served thrice daily, cafeteria-style with snacks available in between. The center also has an on-site chef who oversees meal preparation and aims to make the meals nutritious and well-balanced. The facility’s short-term detoxification program is safe and designed assist clients through the difficulty of the withdrawal process. Clients in this structured program are provided with intensive, personalized treatment consisting of 12-step meetings and various forms of therapy. The inpatient residential program lasts for about 30-90 days and includes holistic and physical therapy. The Partial Hospitalization Program (PHP) includes education and counseling sessions which take place Mondays through Fridays and a few hours on Saturday. Memorial Hermann Prevention and Recovery Center cost approximately $23,500 for a 30-day treatment at the facility but this price is subject to change as it is greatly dependent on the kind of treatment and level of care a client requires. Clients are advised to contact the facility for more on information on payment, verification, benefits, admission, and more. The facility is in-network with most insurance facilities and is available to work with out-of-network providers. However, Medicaid is accepted as well as Aetna, Cigna, Blue Cross Blue Shield, and more). The facility has a pain recovery program which handles bio-psycho-social factors that lead to chronic pain. This program helps individuals registered at the facility to deal, ease, and eliminate completely the pain using physical, mental, and behavioral techniques. This program includes different kinds of therapy like physical therapy, mindfulness meditation, stress management, acupuncture, behavioral therapy, neurolumen therapy, and more. The dedication and comprehensiveness of the Pain Recovery Program show how seriously the facility takes their program. The recovery center which is under the larger Memorial Hermann Healthcare organization has a powerful association with it and this allows the center to have access to quality healthcare and highly qualified medical staff. Clients seeking complete recovery at a rehab facility which runs a no-nonsense program will find Memorial Hermann Prevention and Recovery Center to be a good option. Matt has held the position of Chief Executive Officer for over 14 years and licensed to practice Chemical Dependency Counseling. He holds a Master’s degree in Healthcare Management and has been in the behavioral health sector since 1979. Prior to holding the position at the facility, he served in different capacities at different organizations in different positions such as CEO, Executive Director, Consultant, and more. Michael holds a Bachelor’s degree from the University of Houston in Pharmacy. He returned to the university where he earned his Medical Degree and also completed a Family Practice Program from the same university. He worked as an ER physician before joining the facility and now serves as the Medical Director for the Pain Recovery Program and other outpatient programs.